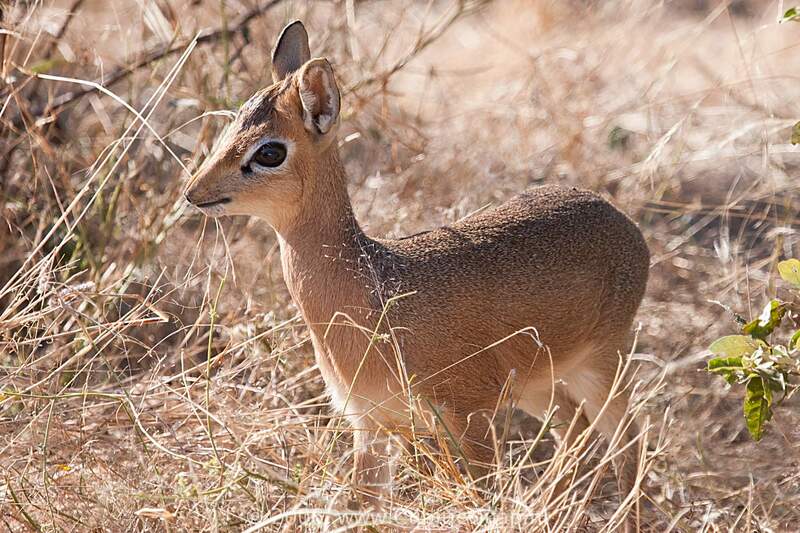 Damara dik-dik shows a strong preference for fairly dense, dry woodland. 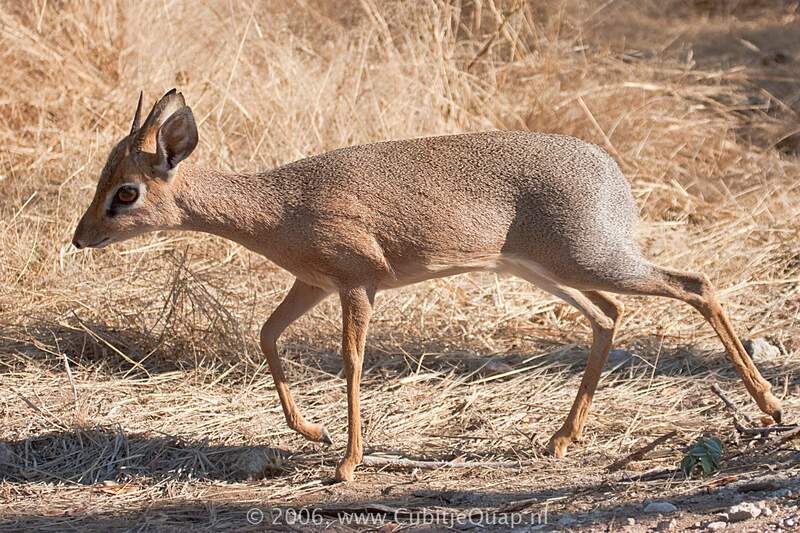 They penetrate deep into the Namib Desert along riverine woodland. 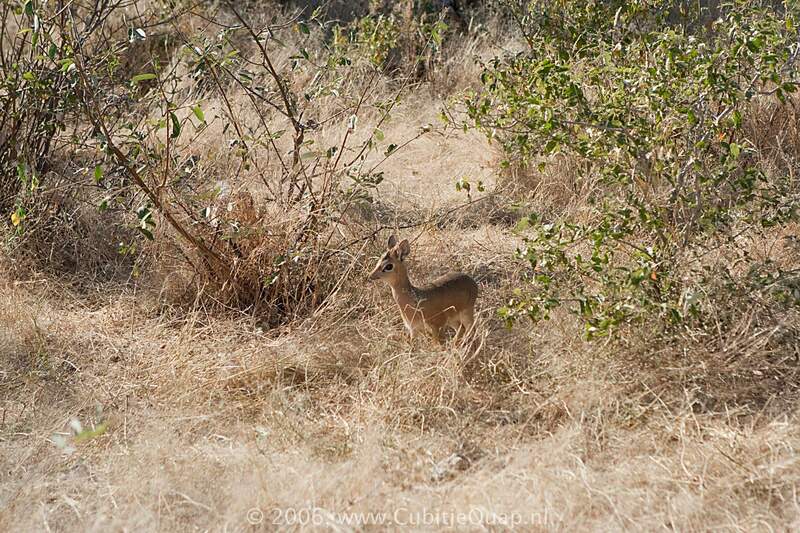 Bush-covered hillsides and adjacent scrub are also occupied. Usually single, in pairs or in small family parties. Pairs establish communal dung middens within home range. Both nocturnal and diurnal. 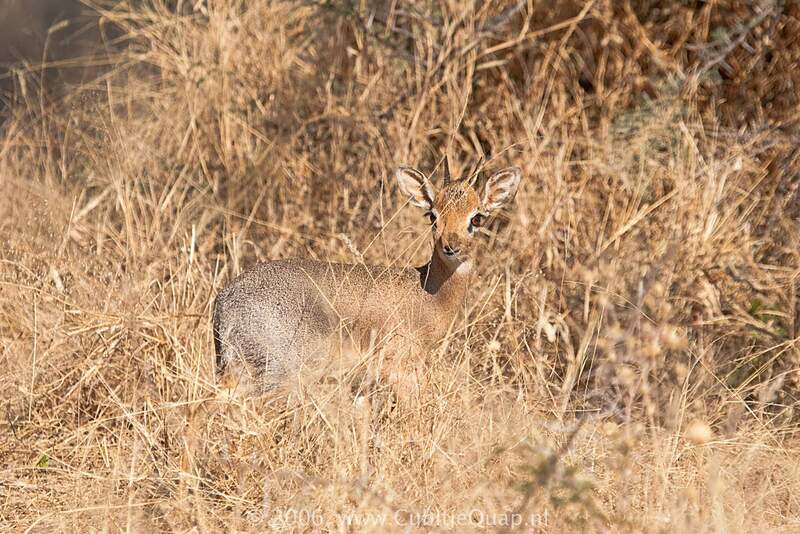 Although they are chiefly browsers they do take some grass during the rainy season. 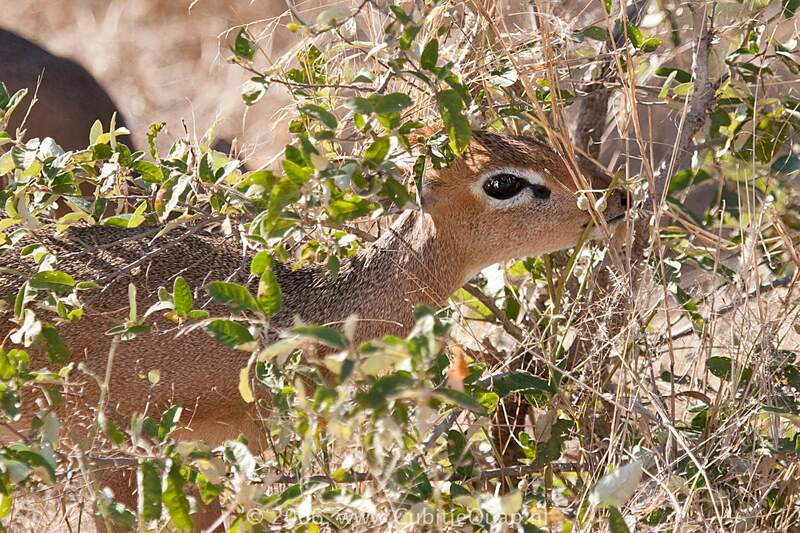 They will utilize leaves, pods and flowers knocked down by larger species such as elephant and kudu.